Clore Automotive has introduced a new 12-volt digital battery and electrical systems tester with integrated printer, Model No. BA227, from SOLAR. 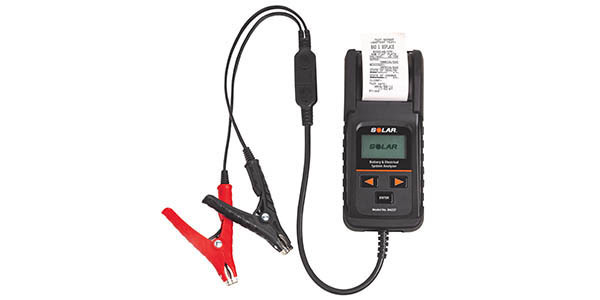 Clore says the BA227 offers a complete testing solution for 12-volt batteries and systems. Compatible with a wide variety of battery types, the BA227 is designed to test flooded, AGM flat plate, spiral wound, gel cell, start-stop AGM and enhanced flooded batteries. It features 36-inch cable leads, replaceable cable ends and temperature compensation. Testing is quick and easy with the BA227, according to Clore, as the tester intuitively walks the operator through the testing process, prompting for key pieces of information and guiding the operator from one step to the next. The tester provides accurate assessment of both charged and discharged batteries, saving time and effort. 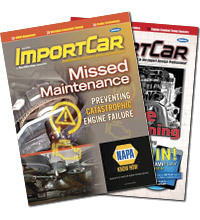 The integrated printer enables easy service documentation. A backlit screen allows effective testing in all lighting environments. Plus, with a 6.5V-15V operating range and the ability to test batteries from 100 to 1400 CCA, users can test everything from powersport batteries to Group 31 batteries.